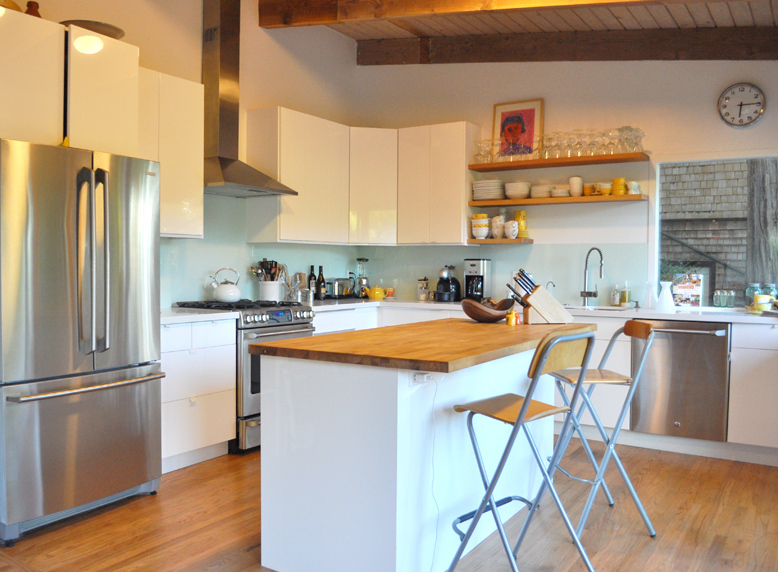 With a French photographer and American filmmaker for clients, this kitchen remodel did not need creative direction on design and style. 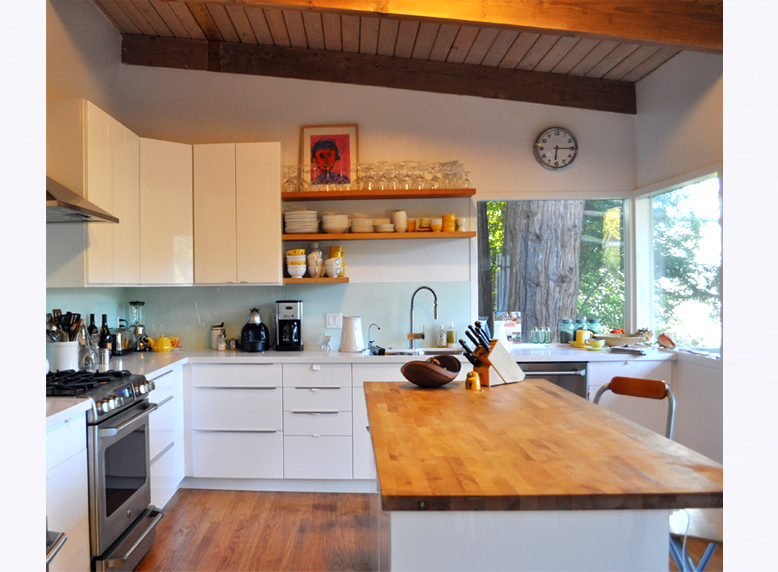 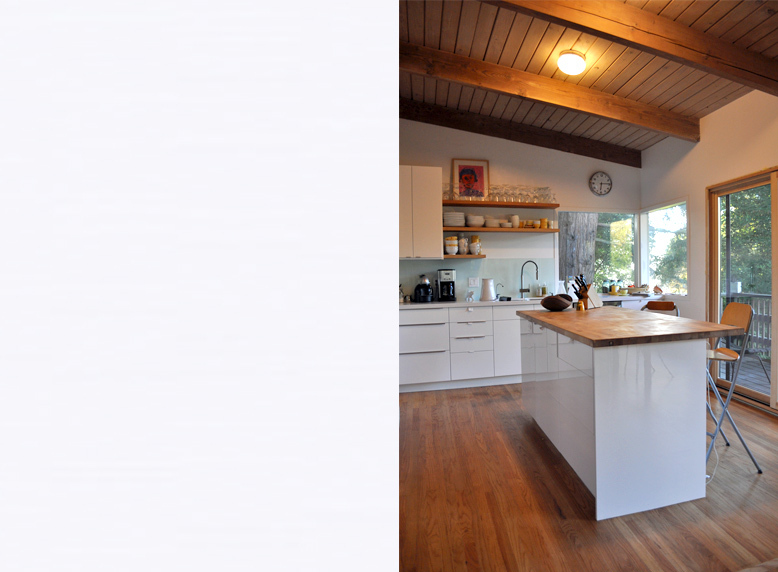 When the couple bought their mid-century home, complete with tiny, misplaced mid-century kitchenette, they instantly saw the potential in demolishing the old kitchen and creating a new one in a space facing the sunset. 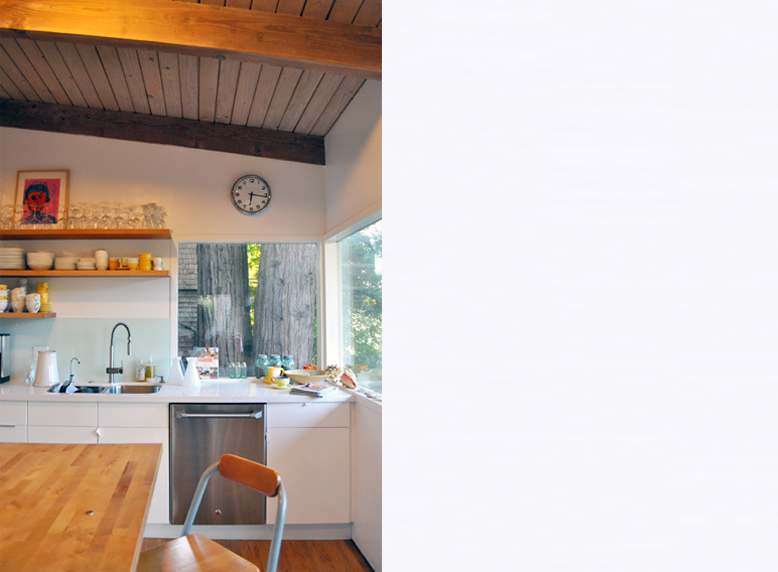 Navigating the city’s permit process required subtle refinement of their initial ideas and additional code-compliant features, and the beautiful new kitchen reflects a simple collaboration.